Jack Garey, BBA ’55, LLB ’57, stands on the front porch of his guest house, pointing out the glinting rooftops on the horizon. 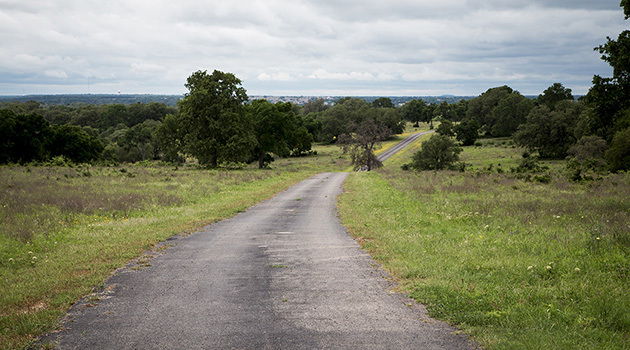 New housing developments surround three sides of his 525-acre ranch outside Georgetown, and they’re the reason Garey has decided to turn his ranch into a city park. Philanthropy is important to Garey, so when his son and two stepdaughters didn’t express interest in the ranch, he says donating it felt like the natural thing for him to do. “I’ve enjoyed this ranch for nearly 50 years, and I didn’t want to see it cut and divided up,” Garey says. 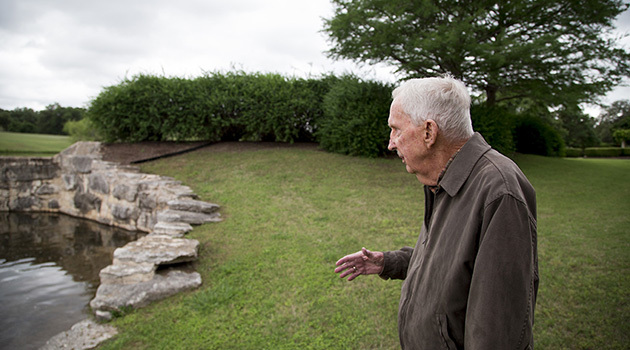 In 2004, Garey and his late wife Cammy, who died in 2012, contacted Williamson County and the city of Georgetown and offered to donate all their land—a $22-million value, plus a $10 million donation for the park’s development, to whoever presented a better park plan within two weeks. Georgetown Parks and Recreation director Kimberly Garrett says it was the city’s offer to create a master plan that would combine the Garey family’s wishes with what citizens wanted that won the donation. Garey Park will include Garey’s 6,000-square-foot Tuscan-style villa reimagined as an events center, plus a dog park, an amphitheater, a playscape, and an equestrian center. The latter was specifically requested by Garey. Garey’s love for horses is evident throughout his villa, with portraits of his race horses and cases of their trophies displayed in a foyer. He jokes that his first word was “horsey,” because of a horse-drawn ice wagon that came to his house every morning when he was young. Born in the small town of Brady in 1930, Garey joined the Navy immediately after high school and lived in Houston for a few years before moving to Austin. After business and law school, Garey opened his own firm. But he didn’t stop there. He started a construction company that was listed by Inc. Magazine as one of the fastest-growing private companies in America in the 1980s. He began investing in real estate and race horses, and in 2009, he opened a small mortgage company. Garey jokes about all of his businesses, saying he was just fascinated by many things and had to try them all out. But his main goal was the ranch, so in 1966 Garey bought his dream property outside Georgetown. When the park opens in 2017, Garey won’t be far away. He and his wife, Doris, will live in a new home now being built in a nearby development. Built on just two acres, it’ll be a little more modest than the estate they’re giving away, but that suits Garey just fine. On one of those runs five years ago, a cow and her two-day-old calf were startled and charged at Garey. The cow knocked him over and trampled him. After a medical helicopter rescue and four months in intensive care, Garey decided to retire from business. The ranch is still busy though, and the cows get to stay. A brief tour of the property includes a stop at the San Gabriel River; a great view from the guest house on a hill; and the still-standing chimney of a now-demolished 19th-century home. When Garey arrives back at his house and climbs out of the truck, he’s greeted by Bella, one of his five dogs. 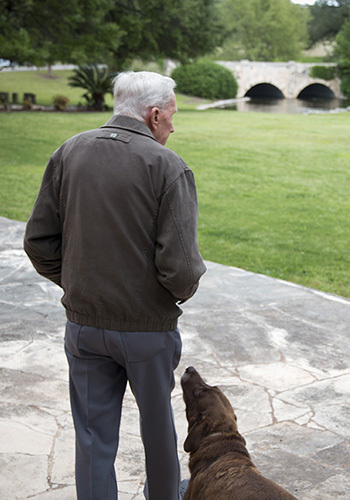 He rubs the dog’s head for a moment, looking at the nearest field.